Flexibility, speed, and reliability are critical factors in selecting wrapping and labeling systems for the food retail grocery backroom. 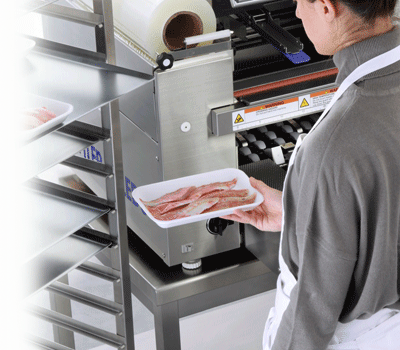 METTLER TOLEDO wrapping systems professionally wrap and label fresh meat, produce, fish, cheese, while saving manpower, film and packaging costs. METTLER TOLEDO offers a range of automatic, semi-automatic, and manual hand-wrap systems for your store volumes and variability of packages. Learn more about Backroom applications. 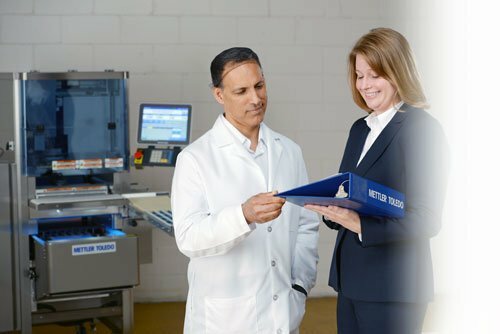 METTLER TOLEDO is committed to supporting food retailers in making their backroom weighing, wrapping and labeling processes as efficient and economical as possible. 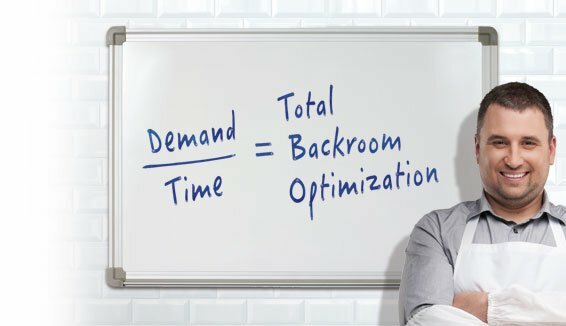 Rethink the backroom and learn how decades of manufacturing expertise can help increase operational uptime and learn more about the factors that affect the total cost of ownership of meat backroom equipment. 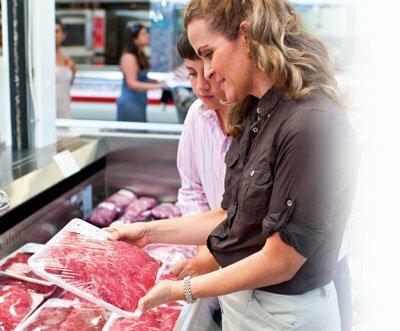 The meat department has a significant impact on a customer’s shopping experience. Product quality and price both shape the shopping experience in the meat department and can promote shopper loyalty, encouraging customers to return. The best backroom investment decisions are made by those who focus on the lowest total cost of ownership. This requires a comprehensive cost analysis throughout the entire lifespan of the equipment. Labeling and packaging solutions in the backroom have an average useful life of up to 10 years. The average retail grocery store will package 3,000 to 5,000 trays per day. Production and work steps that recur thousands of times – day after day, year after year. That is precisely why it is important to pay attention to each second in the process and every dollar spent on consumables in the cost and return on investment analyses. These costs and extra time quickly add up as you produce thousands of wrapped meat trays each day. Description Fast and robust automatic weighing, wrapping and labeling system for grocery backroom environments. Features Small footprint. Easy to operate. Easy to clean. DescriptionFast and robust automatic weighing, wrapping and labeling system for grocery backroom environments. FeaturesSmall footprint. Easy to operate. Easy to clean. Description Manual weigh price label printer designed to enhance backrooms with a hand wrap station. Features Easy to use. Large label roll. Fast label printing. DescriptionManual weigh price label printer designed to enhance backrooms with a hand wrap station. FeaturesEasy to use. Large label roll. Fast label printing. Features Ergonomic hand-wrap station with automatic weighing and labeling. FeaturesErgonomic hand-wrap station with automatic weighing and labeling. Description Manual weigh-wrap center available with different controller options. Features Economical. Compact. Easy to use. DescriptionManual weigh-wrap center available with different controller options. Features Improves performance and efficiency. Quality wraps each time. FeaturesImproves performance and efficiency. Quality wraps each time.